I kept thinking yesterday was Wednesday, therefore, I think today is Thursday. This week is really messing with me! I finally figured out how to obtain pool passes to our pool in our housing neighborhood! I know, we’ve been living here for two years and I finally went through the paperwork to get us pool passes. I figured might as well because we’re paying HOA fees to upkeep the pool so I need to take advantage! There have been so many times since the pool has opened that I’ve said, “man, I really wish I could go to the pool.” Our pool seems pretty strict with all their “rules” and how to enter. You even have to go into the pool management office and get your photo taken so they can print and laminate your pool pass. Although it’s painful to just obtain a pool pass, I must say I feel rather safe knowing it’s just only the neighborhood and their guests that can use it and no one else can get into it. Stranger danger! Haha…I’m ready to get my tan on!! So yeah, if you’re burning up where you are or are having a BBQ or outdoor picnic, you should add this to your list. You let them sit overnight in the fridge and serve them cold. 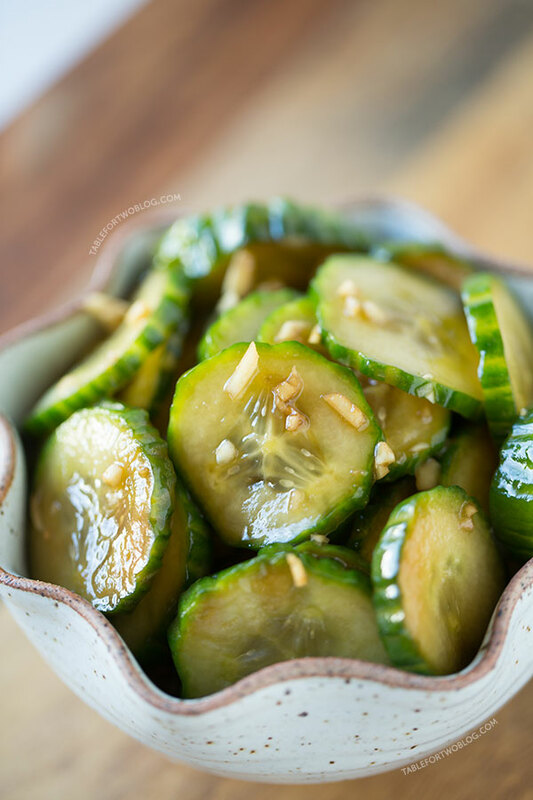 They’re the BEST this way and I just love the crispness of the cucumbers and the Asian flavors! 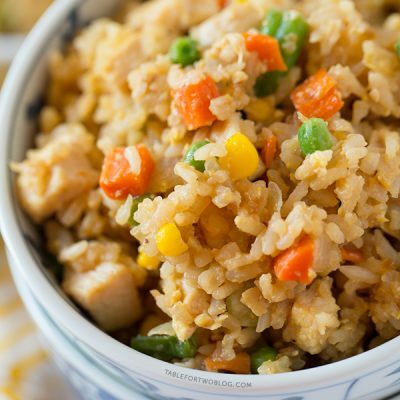 It really takes zero effort to make this and you can tweak the flavors to your liking…more soy sauce, less soy sauce, more garlic, less garlic, etc. 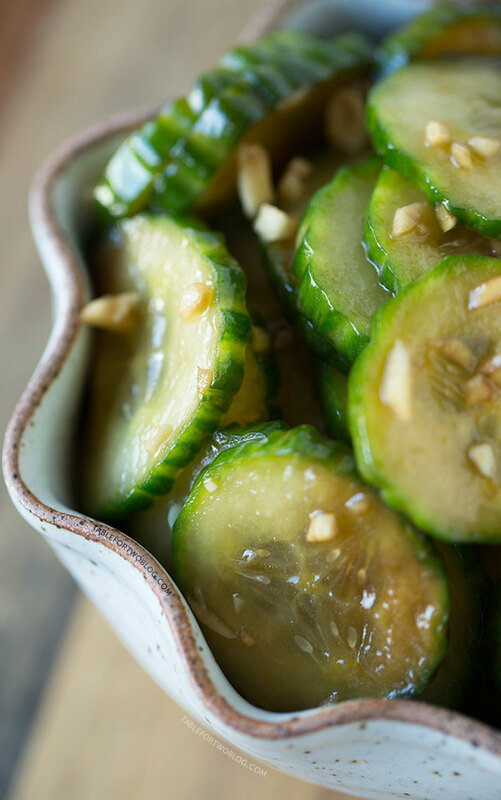 These chilled garlic soy cucumbers are a refreshing snack for any hot summer day! Place cucumber rounds in a large plastic bag. Whisk together soy sauce, sesame oil, garlic, and sugar. Pour mixture over the cucumbers in the plastic bag. Seal the plastic bag tightly and shake the bag around, making sure to coat all the cucumbers. 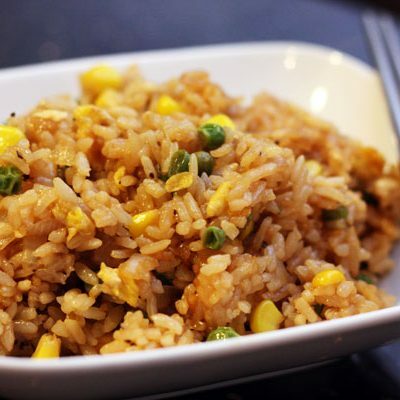 Place in the refrigerator for minimum of 12 hours. If you are able to, give the bag a shake every so often, but if not, definitely give it a good shake before serving. Feel free to tweak ingredients to your taste. Prior to pouring the mixture all over the cucumbers, give it a taste to see if it's to your liking. These look fabulous! Need to make them asap!! Our pool is the same way, passes with photos and al kinds if crazy rules. The cold garlic cucumber sounds so refreshing! My mouth is watering just looking at these, Julie! I’m a little obsessed with homemade condiments; can’t wait to try them! I could eat these all day long! I love these flavors, must make this soon! These look so refreshing! 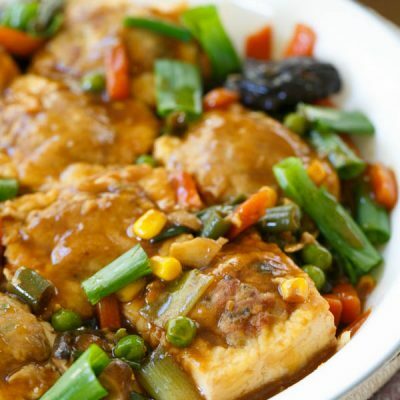 Love the twist of garlic and soy! My mom used to make cucumbers as a side while we were growing up too! She used vinegar and shallots. I can’t wait to see how these taste…marinating in the fridge right now! Too funny, I finally got around to getting us pool passes last week and it’s our 2nd summer here! Enjoy your pool days Julie – and I gotta try these easy cucumbers! This sounds delicious! 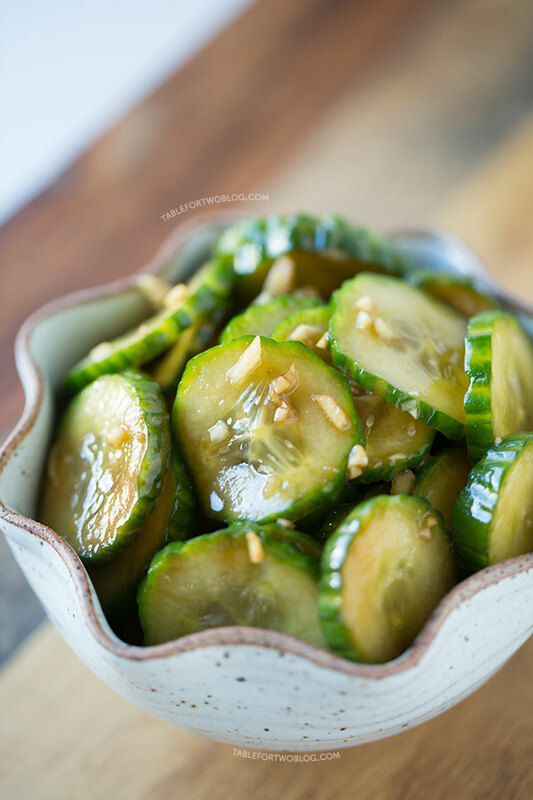 I love cucumbers, so I will have to make this soon!! Oh. Em. Gee. I LOVE chilled cucumbers! A couple of Japanese restaurants around here have served them in a salad and I LOVE them. These look SO refreshing since the temps are approaching 100+ here in CA! Do you think this would be good made with zucchini? Hubs doesn’t care for cucumbers. However, this looks yummy! Hmm, it could, but I personally wouldn’t eat raw zucchini just cause it’s not the texture I like. You can give it a try, though! No harm in trying :) good luck! I feel you on the pool cravings. That’s all I want to do right now, besides eat refreshing foods like these cucumbers. They look like a perfect summertime snack! these are so perfect- I love everything about them! 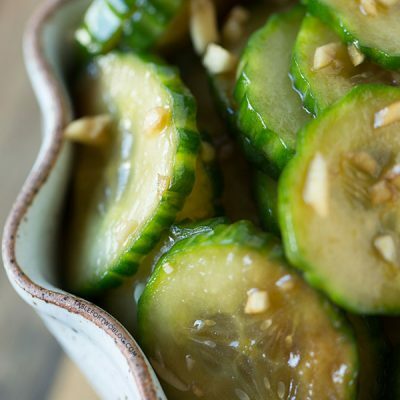 I love cucumber salads, I could eat these all summer long! I live in Scottsdale and I have been eating cold food for the last two weeks, so I get it. I love cukes. This recipe sounds DELISH. I must try. Is it absolutely necessary to leave the skin on the cucumbers? No, it isn’t. You can remove them if you want. Totally obsessed with cucumbers right now! I think it’s the time of year. They’re so hydrating. I’ve been marinating them in just plain vinegar, oddly enough, so I can’t wait to try this recipe! I had no idea you could add all of those awesome flavours. So excited to try! 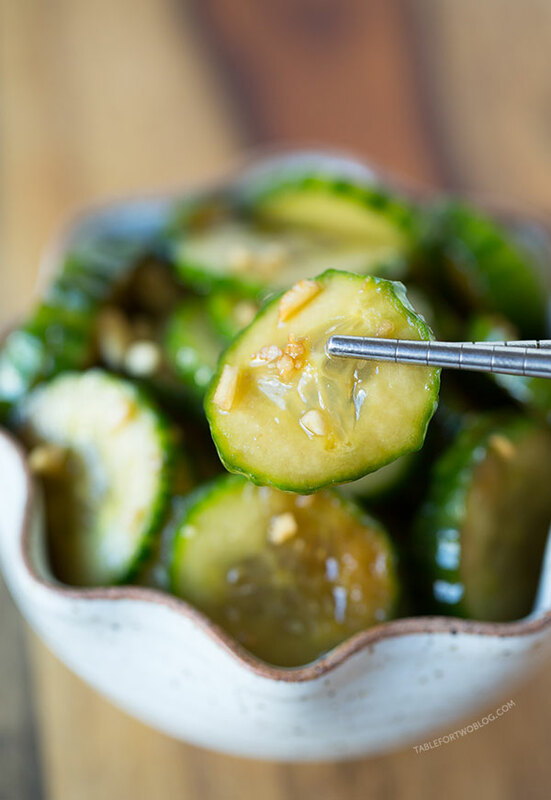 My fiance’s mom gives us TONS of cukes every year from her garden and normally I’m totally bored of them within five minutes…but I feel like I would happily eat these by the bowlful! These cucumbers look so summer fresh & perfect for the 4th!! I have a friend that makes a chilled cucumber recipe but it has loads of sugar. Don’t get me wrong, it’s tasty. But I like your version without all the sugar. Can’t wait to give it a try! I’m growing cucumbers this year in my garden (for the first time! ), so I’m going to have to try this! Sounds like a great flavor combo. So delicious! I need to make these! These cucumbers would be great on so many dishes. YUMMY!! I saw this and I made it right away. The garlic that I get in Japan, each clove, is huge. So I only used one clove. I mean they are really huge, bigger than my thumb! Also, I don’t have low-sodium soy sauce here in Japan, I mean they have it, but I don’t have it. So I used slightly less soy sauce. And I left it to sit in the refrigerator for 24 hours. Boy, these are great! I have a Japanese friend who grows lots of those long Japanese cucumbers during the summer. I am going to share this with her! Also, another thing I have found that is really nice, I can keep adding cucumber slices the next day or the next day. It just keeps getting better. I’m so glad you enjoyed this and am going to share it with your friend! !